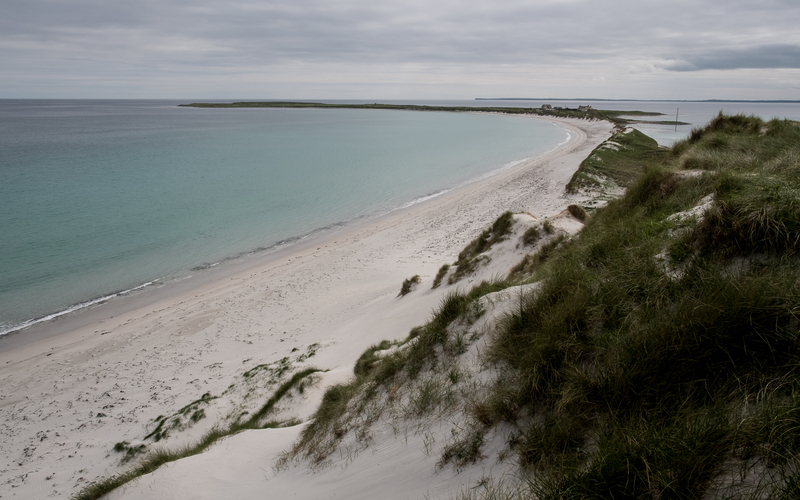 Possibly the most spectacular stretch of sand in Orkney, the beach and dunes at Tresness in Sanday are a real highlight of this north isle. There aren't many other places in Orkney like Tresness. 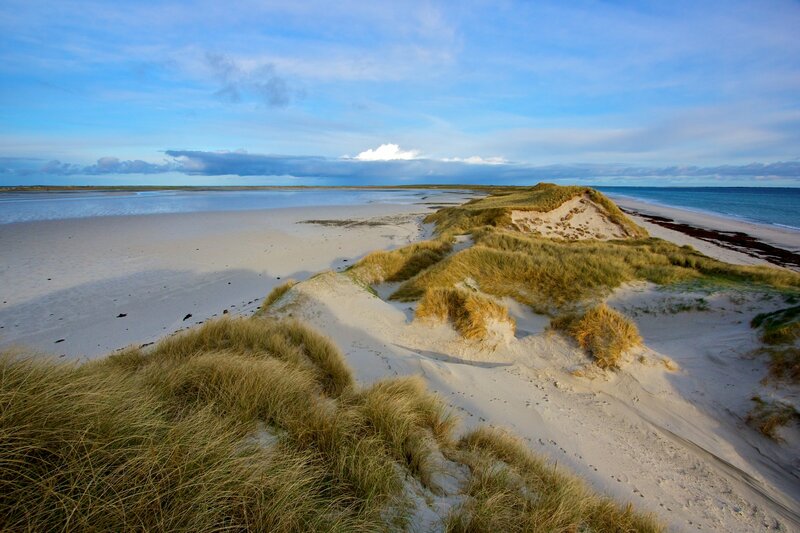 The beach itself is part of a thin peninsula, splitting a sheltered tidal bay and the North Sea. 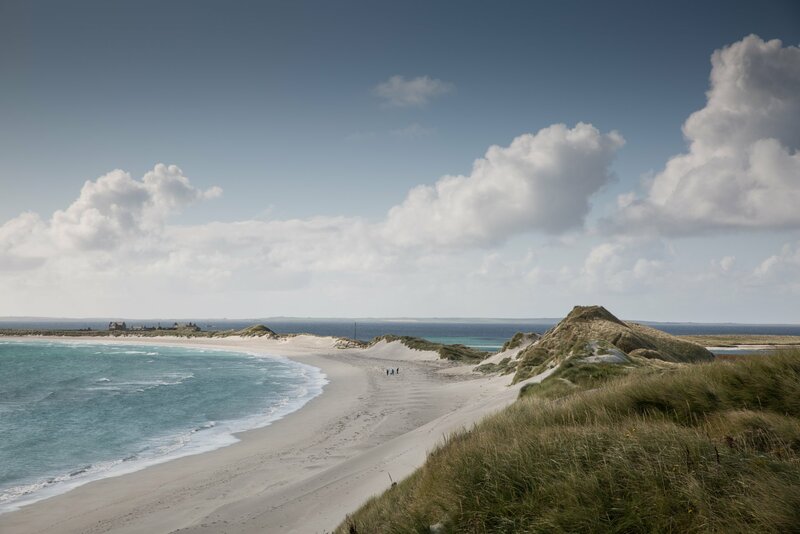 Backed by huge dunes, the white sand carries on northwards up the coast, offering endless views. 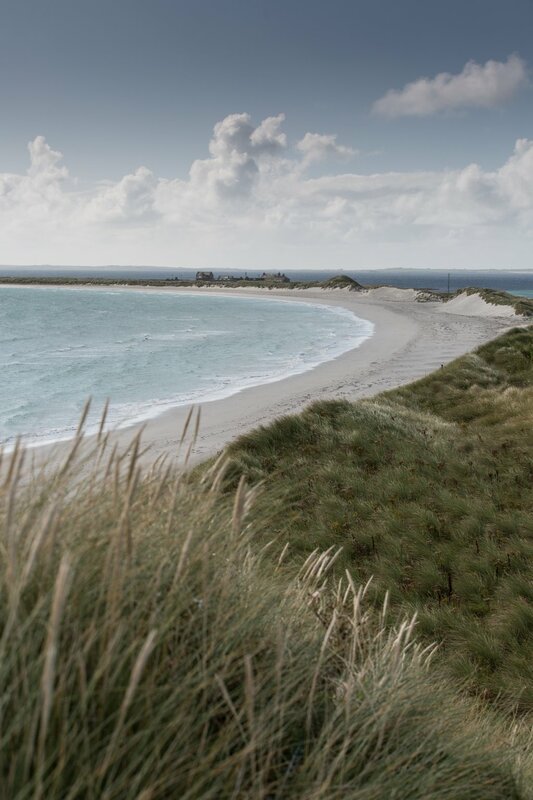 Sanday itself is aptly-named and is famous for its many beautiful beaches, but Tresness is still a special place. Often you'll be the only people on the beach, soaking up the scenery as if you're on a deserted island. 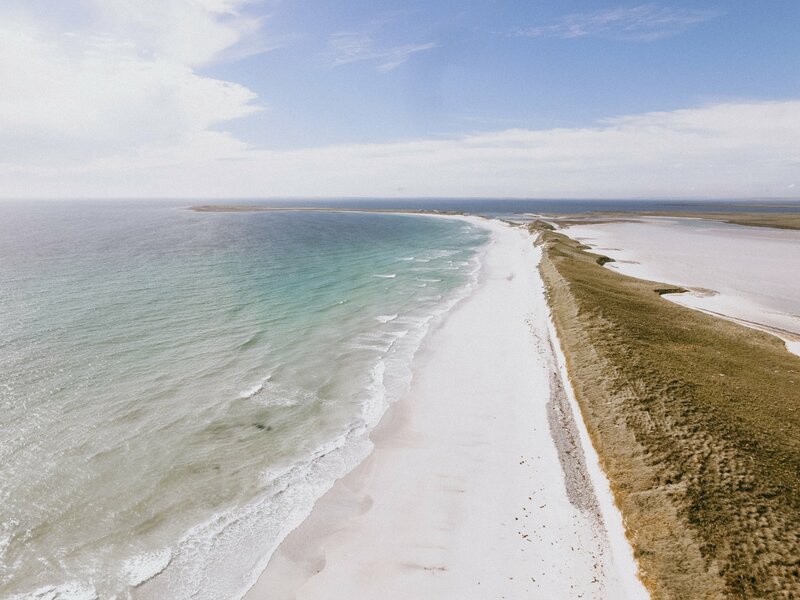 Nearby, during the summer, you'll see archaeologists at work on a recently uncovered Neolithic and Bronze Age settlement, proving that no matter where you are in Orkney, history is never far away.